(eNews.pk) - A Pakistani woman has landed on the list of the most wanted by Interpol after being charged with fraud and forgery. 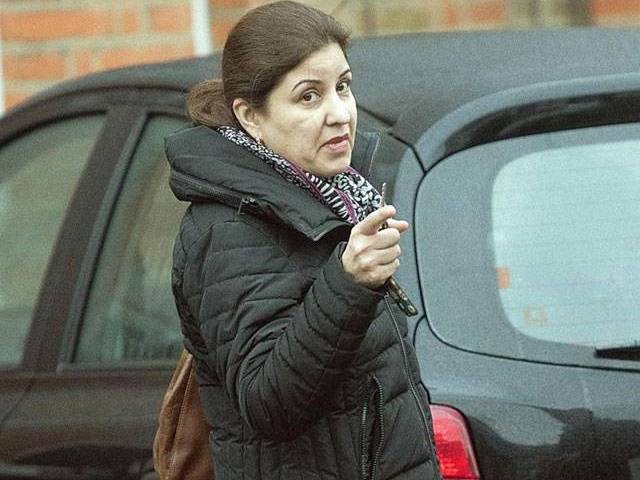 Syeda anesthesiologist Saman, 50, who works at an NHS hospital, taken into consideration the false qualifications of a hospital in Lahore, in an attempt to acquire a work permit in the UK and passport. Federal Investigation Agency of Pakistan has also issued an arrest warrant over allegations. "The Pakistani authorities are investigating whether their qualifications at a hospital in Lahore and forged paperwork is forged. They want his extradition," a source told The Sun. Syeda has been working in the UK since 2010 and lives in the London area Ilford. She has been treating patients confident Reina Hospital in Romford, east London, even after being on the list of the most sought Interpol. As a result, the hospital has been criticized by health watchdogs and patient groups. However, the GMC and hospital bosses claim they were not aware of Syeda be on the list of Interpol. A source who knew in Pakistan, said: "This woman is intriguing and clever she can not be trusted and the GMC should do something about it to protect people.". Another source said: "It is very serious, especially given its role as an anesthetist is absolutely crucial to have the right experience and qualifications, and this has to be looked at immediately.". "I had always wanted to work in the UK and wanted desperately GMC accreditation," said sourse, adding that "The Pakistani authorities have a very dim view of this kind of thing and see it as a hindrance to their nation." Syeda, who is divorced from her husband, told The Sun that he knew of their inclusion in the list of Interpol. "I think this has been framed by my ex-husband back in Pakistan. I have been informed that it has been trying to control my documents and trying to manipulate them," he said. The GMC declined to comment, and local NHS Trust medical director Nadeem Moghal insisted, "Saman Syeda is fully registered and licensed to practice. "She has had periodic evaluations and is a dedicated and valuable member of the team," he said.